Chalke Heating are oil heating engineers OFTEC-qualified to service, repair and commission all domestic oil boilers. We are Rayburn Guild members, and specialise in servicing, maintaining and commissioning AGA Rayburn oil fired cookers (including computerised diagnostics on new models), and other oil fired range cookers including Esse and Heritage. Approved Rayburn Guild Engineer, registered to service and maintain AGA Rayburn oil fired cookers. Chalke Heating is OFTEC registered to service all types of oil fired appliances. If you prefer, please email me here. 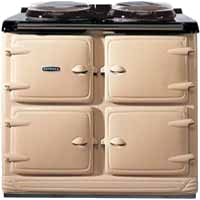 The name "AGA" is a registered trade mark of Aga Foodservice Group plc and Chalke Heating is neither a member of the Aga Foodservice Group, nor is it in any way associated with it. We are based in Broad Chalke to the west of Salisbury, and service oil boilers and AGA Rayburn oil-fired range cookers throughout south Wiltshire, north Dorset and into Hampshire. Chalke Heating are local, independent oil boiler and range cooker specialists and Rayburn service engineers, and offer an efficient and reliable service. Comprehensive spares carried for most commonly occurring problems and other parts can usually be obtained within 24hrs. We are OFTEC accredited to guarantee safety and peace of mind. Rayburns, AGAs and oil-fired range cookers need regular servicing to keep them working efficiently. We are AGA Rayburn 'factory' trained to service and maintain Rayburn oil fired cookers, and members of the Rayburn Guild. Computer diagnostics of Rayburn problems including A4 error code. Chalke Heating is based in the beautiful Chalke valley to the west of Salisbury, and services oil boilers and AGA Rayburn oil-fired cookers throughout south Wiltshire and north Dorset, including Cranbourne Chase including these towns and villages: Tisbury, Hindon, Dinton, Broad Chalke, Barford St Martin, The Donheads, Donhead St Andrew, Sixpenny Handley, Cranborne, Cashmoor, Fordingbridge, Downton, Fovant, Rockbourne, Burgate, Codford, Woodford Valley,Great Wishford, Heytesdury, Warminster, Wilton, Coombe Bissett, Homington, Odstock, Bishopstone, Ebbesbourne Wake, Alvesdiston, Wimbourne St Giles, Gussage St Michael, Verwood, Edmonsham and Farnham.